The history of olive oil, together with the plants from which it is produced, is fascinating and goes back to the dawn of humanity: from 5000 BC until 1400 BC, cultivation of the olive took place at first in Crete and then in Syria, Palestine and Israel. Afterwards, by means of trade and application of new farming techniques, it spread over southern Turkey, Cyprus and Egypt. Until 1500 BC, Greece (and Mycenae in particular) was the largest area planted with olive trees. With the expansion of Greek colonies, olive cultivation reached Southern Italy and North Africa in VIII sec. BC, then spreading over southern France. At the time of the Roman Empire, olive trees were planted throughout the Mediterranean area. In ancient times olive oil, as well as being an important source of food, was used in several other non-nutritional ways, mainly as fuel for lamps and cosmetic. Note that, in such epoch, olive oil was an expensive commodity, being produced through laborious techniques, and its production was lower than demand. Therefore, in ancient times, olive oil’s consumption was considered a privilege that only rich people could have. Even the Bible contains a lot of information about olives and olive oil: a dove brought an olive branch to Noah, on Mount Ararat where the Ark had landed. When the Kings of Israel received their calling, they were anointed with oil. In the Parable of the Good Samaritan, we learn that the man beaten by robbers was treated with oil and wine. The anointing with oil was also prescribed by the Apostle James, to be used for the blessing and recovery of the sick. Therefore, we see that in the epoch of the Old and New Testament olive oil was considered to be a symbol of peace power and healing. Nowadays, science is discovering the healing properties and the benefits of olive oil, which the ancients already knew. Therefore, as an old eastern saying goes: “At the end of time the man of science will arrive there where the man of faith has already arrived during his first day of prayer…”. The quality characteristics of the oil are helpful for nutrition and health. Olive oil, in addition to a good aroma and a pleasant taste, has a very good digestibility and is easily absorbed by the human body. The result is the assimilation of important nutrients contained in such oil and generally in food. How to reduce cholesterol: olive oil contains prevalently monounsaturated fats, which increase “good” cholesterol while decreasing “bad” cholesterol. Therefore, olive oil has beneficial properties in the prevention of cardiovascular diseases because his consumption helps in reducing the rate of the atherosclerotic plaque development and also prevents thrombus formation. Olive oil contains oleic acid, which blocks some physical processes that are related to the onset of the breast cancer. Although the available evidence on cancer prevention by the use of olive oil is not conclusive, some researches have suggested that such oil may have some effectiveness against various malignancies of the breast, ovary, endometrium, prostate, pancreas, stomach, esophagus, lung, and colon. Some researches carried out a few years ago, show that olive oil has anti-inflammatory properties, with beneficial effects for people with arthritis or suffering from other chronic pains. Other studies have shown that olive oil is a key for weight loss or weight maintenance because of the sense of satisfaction that gives to those who use it in their diet. In the Mediterranean countries, people know well the properties of olive oil, concerning healthy hair, beautiful skin and flexible joints. Finally, some studies suggest that consumption of monounsaturated lipids, derived from olive oil, may increase the mineral density of human bones, reducing the risk of osteoporosis. Today’s production methods are quite simple: so, the olive oil is really for everyone and has an affordable price. World production of this type of oil is increasing. This is due to technological progress in the cultivation and production. More than 80% of the total olive oil production derives from the European Union (EU), mostly from Italy, Spain, and Greece. Extra-virgin olive oil is the best quality: this oil is extracted through natural means, and is usually the most flavored and tastiest. 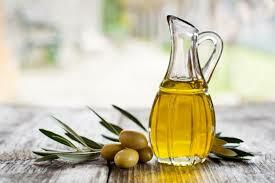 How to diet: use olive oil as a primary ingredient in authentic Italian recipes. 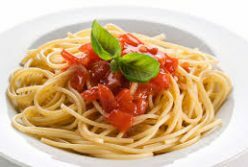 Cooking with olive oil makes your dishes more delicious, because it is an ingredient that gives body and flavor to vegetables, intensifying the natural flavor in foods and making you feel satiated without eating too much. This way, you will able to achieve your weight-loss goals. The best olive oils belong to a circumscribed geographic zone – the Mediterranean Basin – having its own special climatic conditions. The denomination of origin is a guarantee of quality for the consumer, because such oils must have been produced through a rigorous procedure, controlled from the harvest of the fruits to packaging. These operations must be completed in the same olive-growing areas.